ItemA-03617 - Freight Wagons Unloading In Yale At Strutt's Blacksmith Shop. ItemB-04964 - Group in front of the Branch Hotel, Front Street, Yale, BC. ItemE-01910 - "The Chasm, BC; on the Cariboo Wagon Road." ItemE-00141 - The SS Britannia entering Vancouver harbour. ItemF-09517 - The SS Princess Victoria entering Victoria harbour. ItemF-00255 - Columbia Avenue, Rossland. ItemE-02799 - "Entrance to Banff National Park." 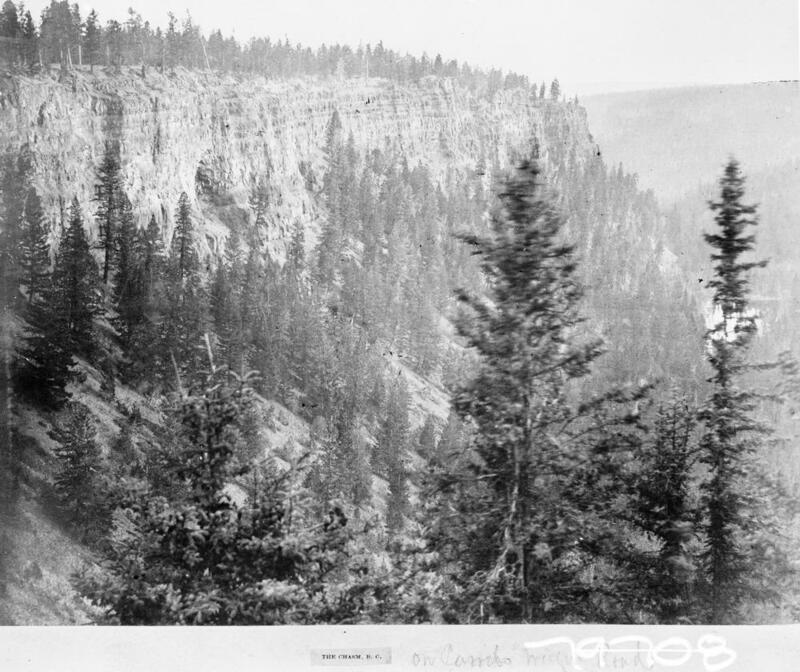 Item E-01910 - "The Chasm, BC; on the Cariboo Wagon Road."